The Ramsey Hill biannual house tour was yesterday. It was a gorgeous day for walking the historic neighborhood and viewing how many families have updated their homes for today’s lifestyle, while keeping the historic integrity of the homes intact. In case you don’t know, the Ramsey Hill Association in Saint Paul will be hosting their biannual historic house tour in two weeks. This year visitors will get the chance to tour 11 homes, including two private gardens, and numerous other landmarks in the Ramsey Hill neighborhood, including the Germanic-American Institute, where you can get a free complimentary beer, and the College of Visual Arts Gallery. 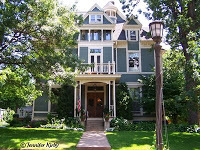 If you are a fan of historic homes, make sure to get tickets to the Summit Hill House Tour on September 14, 2008. From Noon-6pm, tour some grand homes located in the nationally famous area of Saint Paul that is filled with historic architectural treasures. For more information, and to purchase tickets, please visit the Summit Hill Association website. If you are looking for something fun to do this Mother’s Day, why not enjoy a stroll with Saint Paul historian and writer Jane McClure as she takes us “Off the Beaten Path”. This Sunday, May 11, from 2-4 pm, explore the location for the first school patrol in the country, the Selby street car tunnel, Irvine Avenue, and parts of Ramsey Hill not located in the Historic Hill Preservation District. 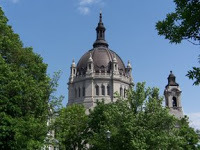 Meet at the flagpole located on Summit Avenue, across from the Saint Paul Cathedral. At 95 Mackubin Street, in the Ramsey Hill neighborhood of St. Paul, one historic Victorian house is receiving an earth-friendly modernization. Green remodeling expert Building Arts will showcase the project at this April’s Minneapolis/St. Paul Home Tour. A pilot project for Minnesota GreenStar Certified Green Homes and Remodeling, this home features geothermal heating and cooling, recycled flooring, Marvin Low E windows, energy-saving appliances, closed-cell foam insulation, and other innovative, earth-conscious elements. The floor plan has also been updated for contemporary living, with abundant natural light and an open plan for ventilation. From concept through construction, Building Arts dedicates itself to creating spaces that reflect their owners and honor the environment. A local, full service residential remodeling company, Building Arts has always operated with a focus on sustainable construction. Last year, more than 5,300 people visited the Home Tour, and success is expected again this year at this free, self-guided event. The Tour runs on April 26th and 27th, from 10 to 5 on Saturday and 1 to 5 on Sunday. Learn more at http://www.msphometour.com/ and visit http://www.building-arts.net/ for contact information, project photos and more. 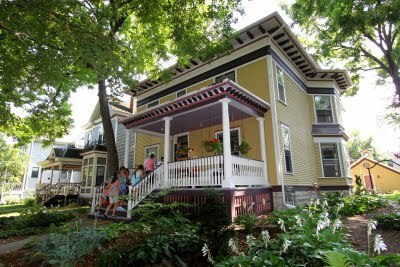 The Ramsey Hill Association will be hosting the 2007 tour of Historic Homes in St Paul on Sunday, September 16th. Tour hours are for one day only, from 11 am to 5 pm and will include homes located on and around the Famous Summit Avenue. Residents of the Milwaukee Avenue Historic District will host their first-ever Historic Milwaukee Avenue Home Tour. 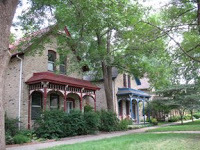 A celebration of the 30th anniversary of this remarkable preservation effort, the tour offers an opportunity for visitors to learn about a unique urban district in the Seward neighborhood of Minneapolis and see inside charming workmen’s cottages, many dating from the 1880s. At least seven homes will be open for touring, representing a range of housing types that were restored, rehabilitated or designed as infill in the 1970s-era project. All are in close walking distance along a car-free pedestrian mall, also a notable part of the preservation effort. 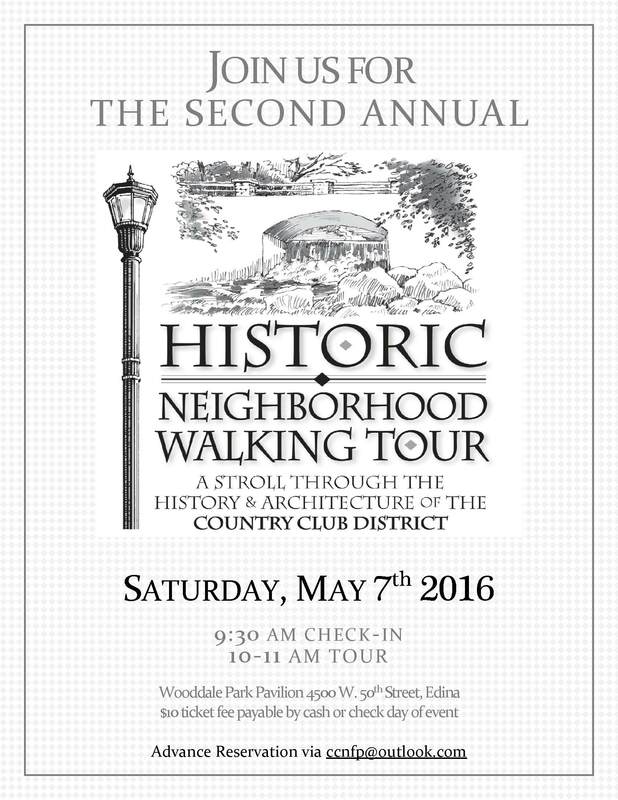 Proceeds from the tour will benefit the Preservation Alliance of Minnesota and the Seward Neighborhood Group. Purchase tickets by calling the Preservation Alliance of Minnesota at (651) 293-9047. About the Milwaukee Avenue preservation effort: Thirty years ago, the City of Minneapolis planned to demolish this area in west Seward as part of its plan to improve urban housing stock. Visionary neighbors, many of whom still live on or near the block, fought to save these homes, preserving many of them. In 1977, the avenue earned a spot on the National Register of Historic Places in recognition of its status as a district of working-class homes that commonly housed immigrant laborers.